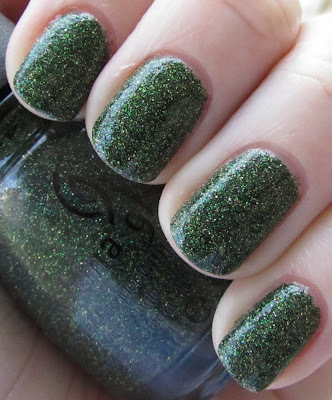 Today I have for you China Glaze Winter Holly from their Holiday Joy 2012 collection. 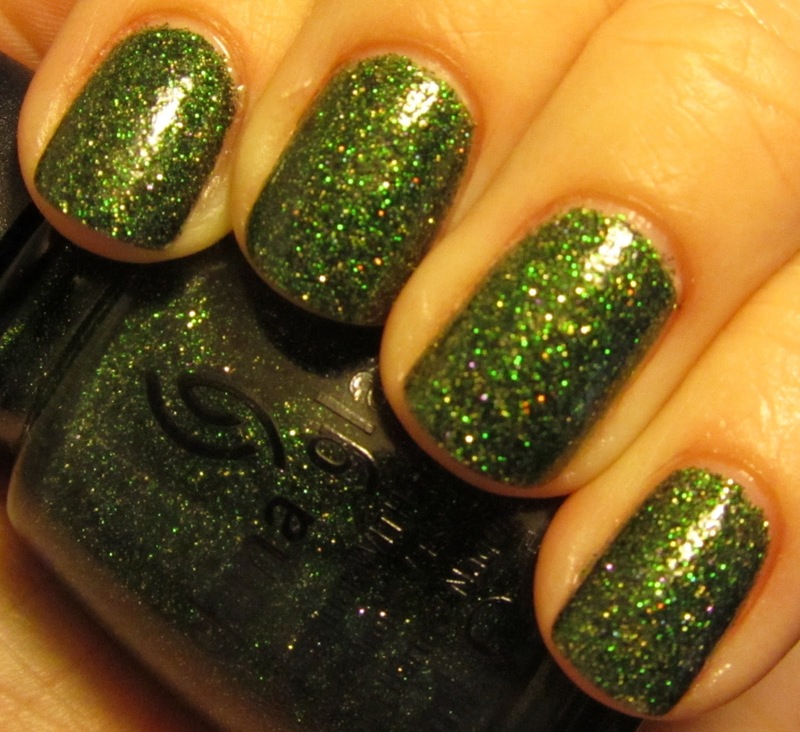 This stunning medium emerald green is speckled with green, gold and scattered holographic fine glitter in a clear base. Unfortunately I didn't have the best day for snapping photos of this one outside. You can see a little bit of the holo in the picture above, but the sun was just barely peaking out from the clouds. Here is a slightly fuzzy, artificial light shot to get a real sense of the holo glitter. The holo in this makes it one of my favorite Christmas greens of my collection. It applied well in three coats, not too thick or gloopy. A bit on the gritty side, but not more so than other similar glitter polishes. While you lose the holo in the shade, the green and gold combination still make this a gorgeous polish, and perfect for the holidays! This is definitely one of my new favorite greens! Merry Christmas Eve to all! Check back tomorrow for my Christmas Day manicure! Lovely Aurora and Giveaway Winners!